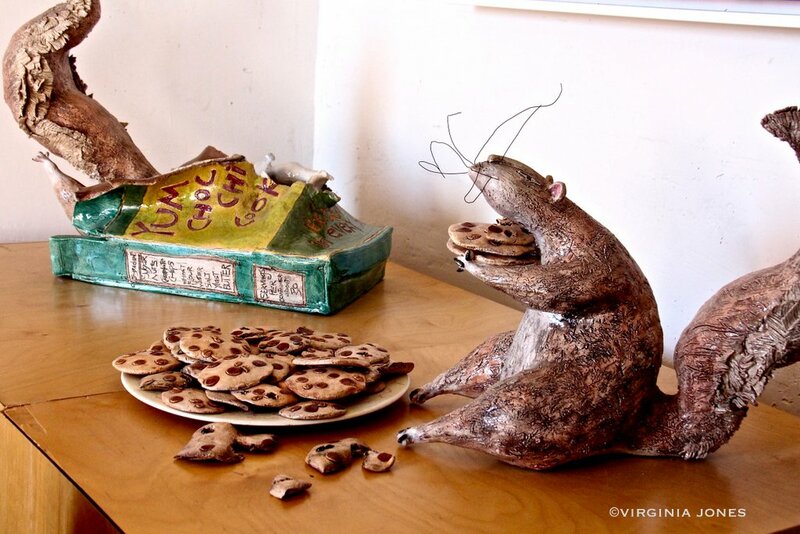 It's really hard to say what artist Kevin Irwin is "known for". 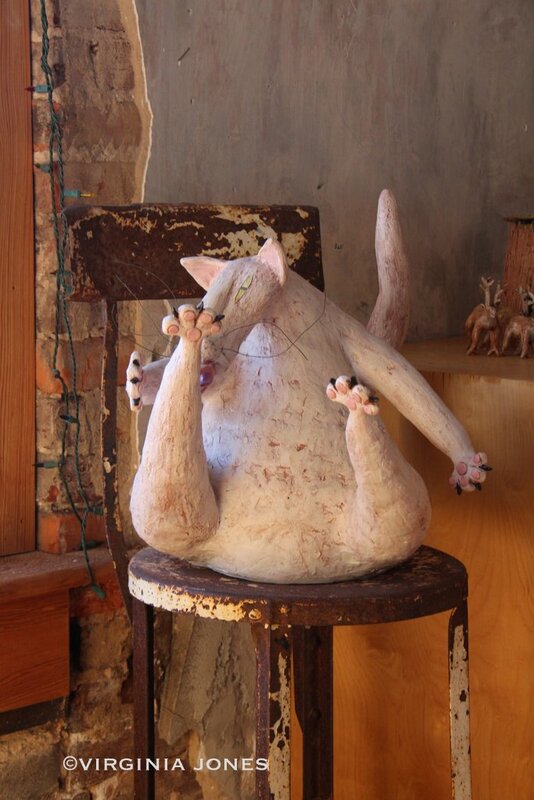 If I had to narrow it down, I'd probably say her whimsical ceramic sculptures. 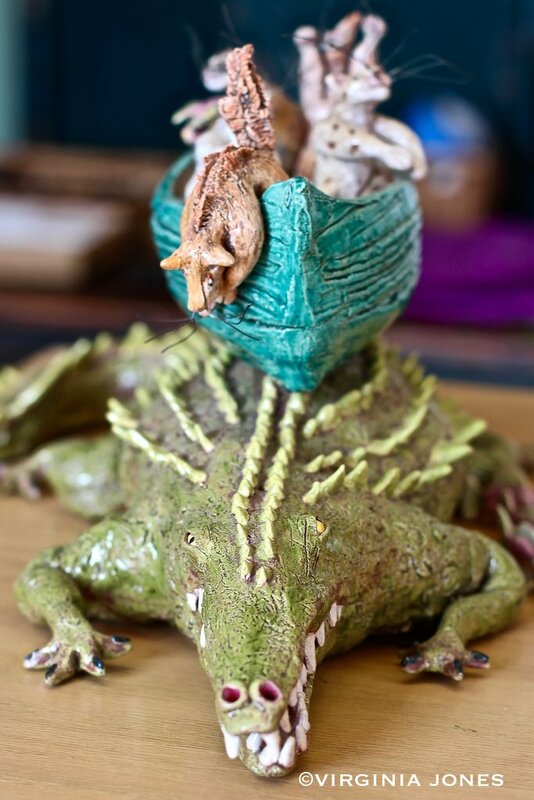 Whether it's a sleeping dragon, an alligator with Noah's ark on his back or those rascally squirrels that terrorized the Wiregrass Museum of Art in Dothan, Kevin's menagerie is loved and collected by many adoring followers. Of course she can't leave it at that. Nope. 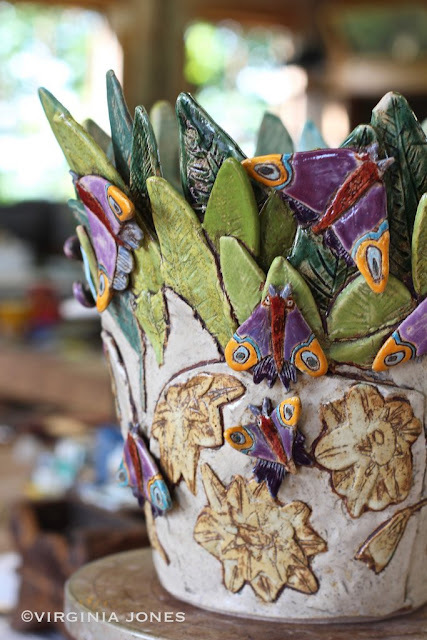 She crafts lovely plates, planters, and even the tiniest of clay beads to add to her amazing jewelry. You'll have to wait for that. 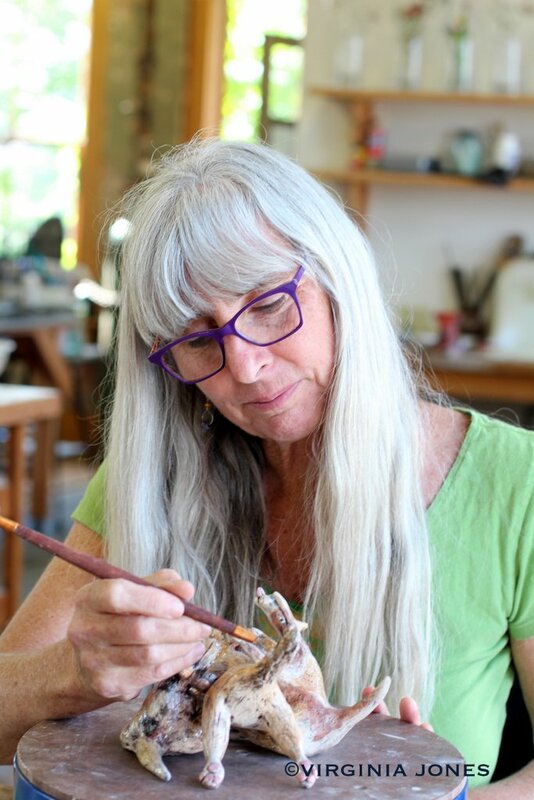 How would you describe your work? "My story in clay. A love note to myself, A healing potion for myself and those that have my work. A love note to all that share my journey . It is a language that some can understand." 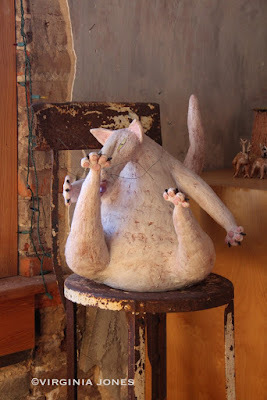 whimsy .. i love her work .. its the antidote to what ails us all these days ..